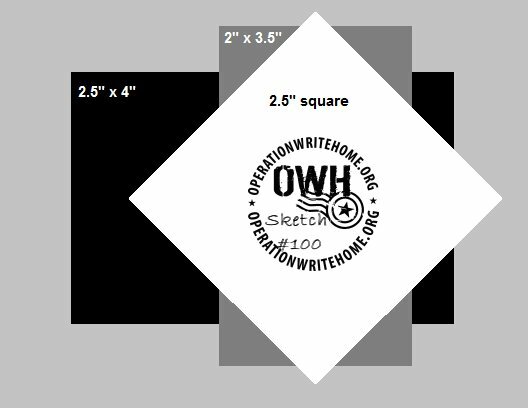 Today is our one hundredth sketch challenge, friends! Can you believe it? I’m so excited! And can I just say that I get such a thrill out of doing these sketches each week and visiting your blogs to see all the different interpretations. Y’all do some beautiful work and I really appreciate it when you share your ideas! For our 100th sketch we have a special guest sample maker… Kelly Rasmussen! Kelly is one of the awesome artists for Hero Arts. 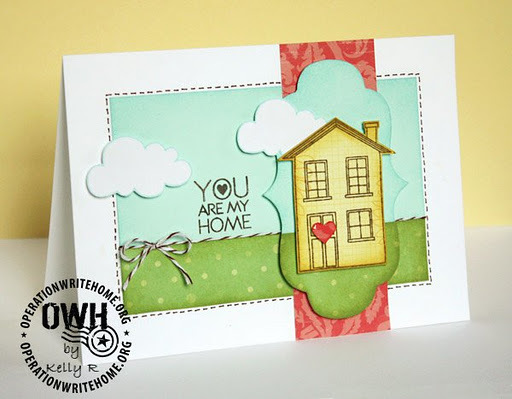 She does beautiful work, including the sample card today which features one of our new OWH + Hero Arts stamp sets, Right at Home (CL583). I love the clouds! And the twine! And the little heart on the front door!! You can visit Kelly’s blog at kr creations to see more of her work, be sure to stop in and say hello. Okay, folks, let’s make some cute cards! Be sure and come back here to link up your creation so we can all share some inspiration! Congrats on 100 sketches!! I love Kelly's card, and how the twine separates the dp while coordinating with the faux stitching! What a great look!Speaking of great looks, the re-vamped blog looks amazing!! I love it!! What a fabulous card! I think this is one set, I still MUST add to my wish list! It's perfect and I LOVE it!! I'm also very excited to be using SKETCH #100!! Yippee!! What a gorgeous sample! I just bought this set…time to ink it up!